You think you do know everything about BBC’s Sherlock? Think twice, dive into the wonderful book „Sherlock Chronicles“ written by Steve Tribe and take a stroll from the very beginning (or even before the beginning itself) to the latest episode so far. The book is stuffed with all kind of information any Sherlockian needs to know. There are deleted scenes-scripts, behind the scenes pictures and interviews with cast and crew members. But was makes this book outstanding compared to other Sherlock fan books is the reference to Sir Arthur Conan Doyle’s original stories. „Holmes from Holmes“, as the writer names it, shows quotes from the canon and how and where Mark Gatiss and Steven Moffat used them in one of the episodes. You will always find it baffling to read and realise again how modern Sherlock Holmes is and always has been – and how brilliant all episodes of „Sherlock“ are, how carefully they are arranged and how deep their connection to Doyle is. 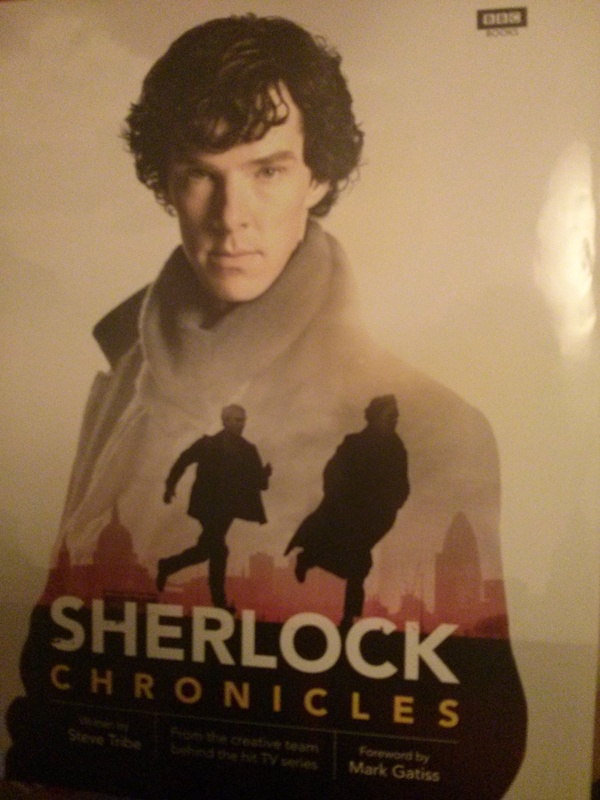 „Sherlock Chronicles“ is a must have book for every fan and a wonderful gift for a Sherlockian dear to your heart. Darfst es gerne rebloggen. Grüße nach Bamberch. Ach, das ist ja schön. Ich mag es sehr. Danke Dir!